Laura Weston, CPA joined Pinnacle Accountancy Group in June of 2018. She has worked for Doug Child, and his predecessor firms since 2004. After leaving one predecessor firm in 2007, she worked as a controller at a publicly-held entity and as an audit manager for several large SLC, UT firms. Her expertise lies in the audit of SEC Registrants, not-for-profit entities, and privately-held entities. Laura has also assisted privately-held and publicly-held entities acting in temporary CFO/controller roles. One of Laura’s many strengths is assisting entities in cleaning up their accounting records and developing policies and procedures. She obtained a BS in Accounting and MBA from the Utah State University. 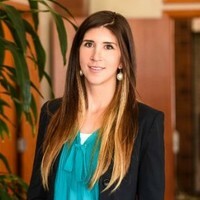 Laura is a member of the American Institute of Certified Public Accountants (AICPA) and the Utah Association of Certified Public Accountants (UACPA). Laura has previously been involved with the AWSCPA (American Women’s Society of Certified Public Accountants). Her outside hobbies and interests outside of accounting include traveling, biking, running, water sports, watching her kids play sports, and sewing.